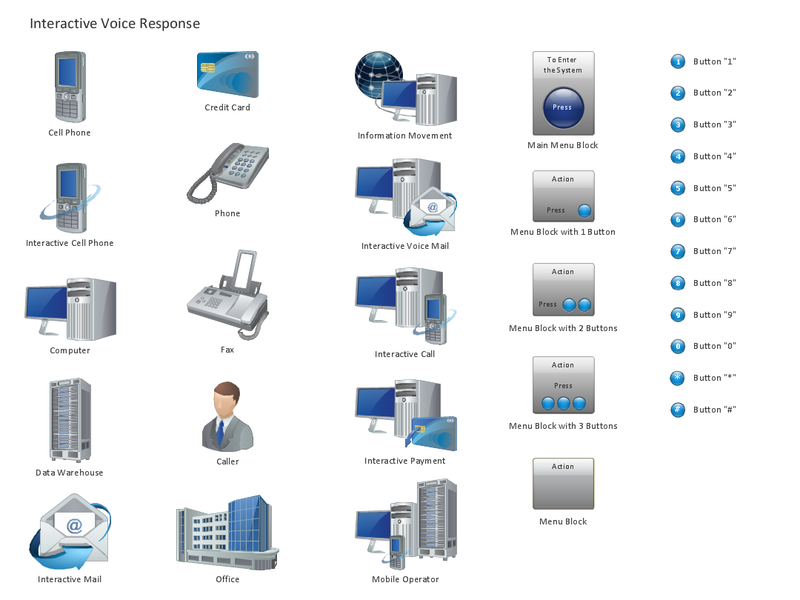 This interactive voice response (IVR) diagram sample illustrates the IVR services. 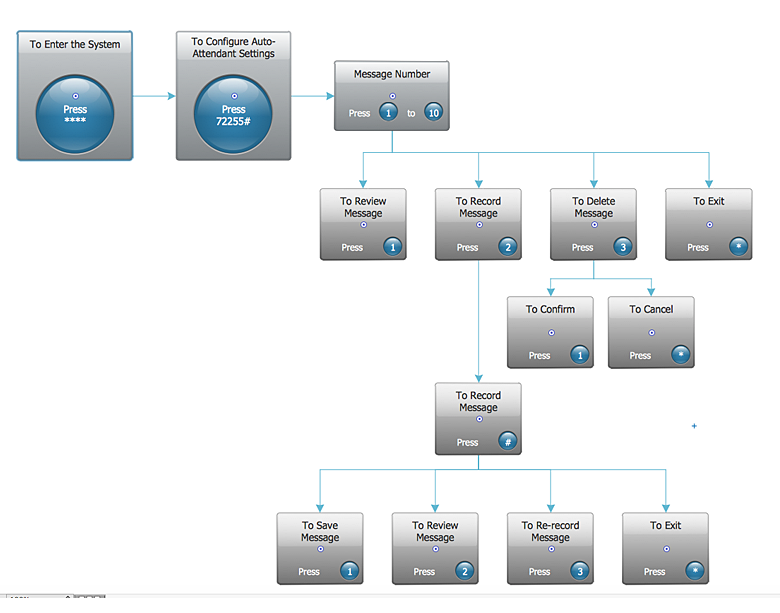 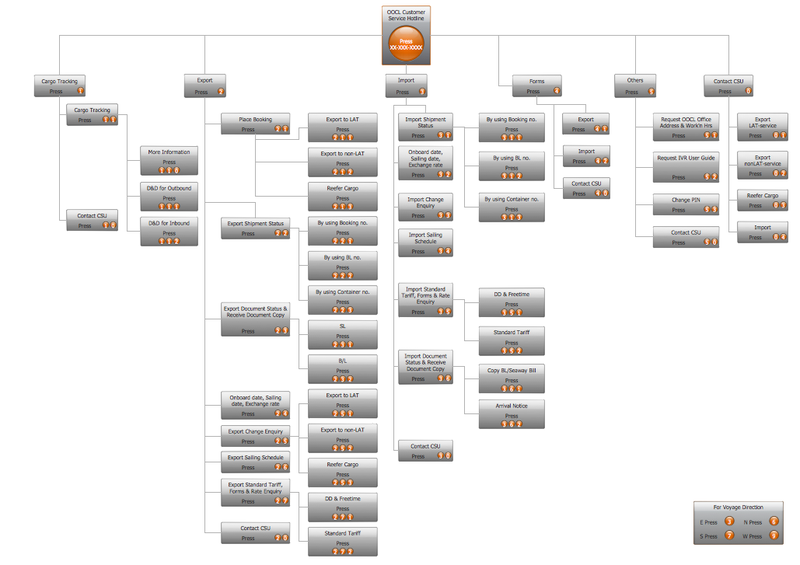 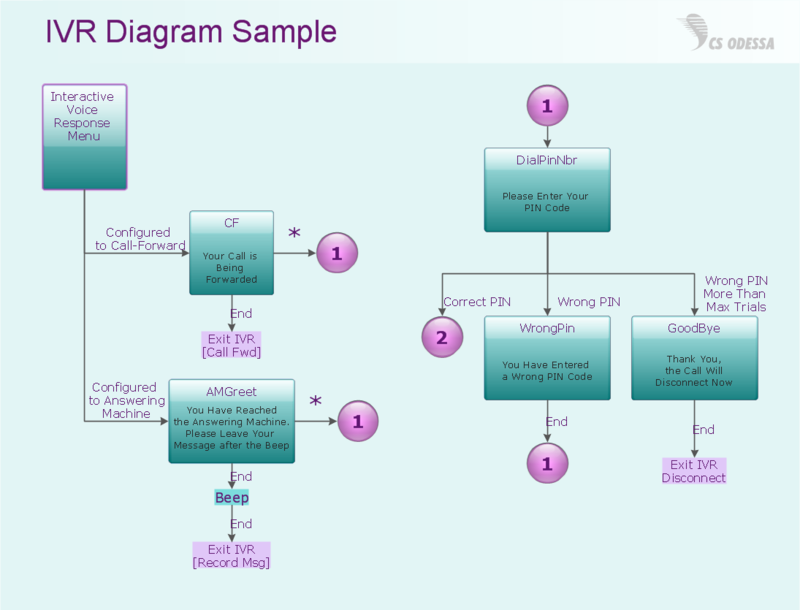 This interactive voice response (IVR) flowchart sample shows the store reporting process flow. 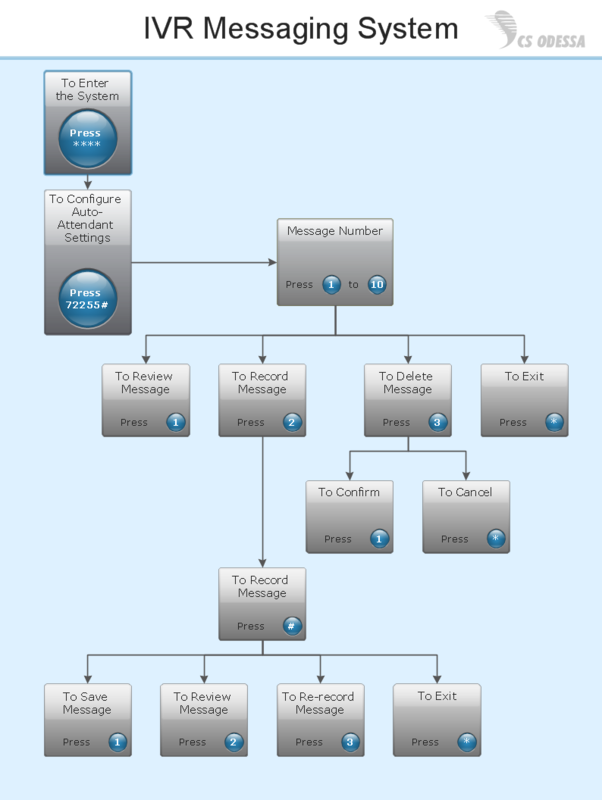 "Call centers use IVR systems to identify and segment callers. 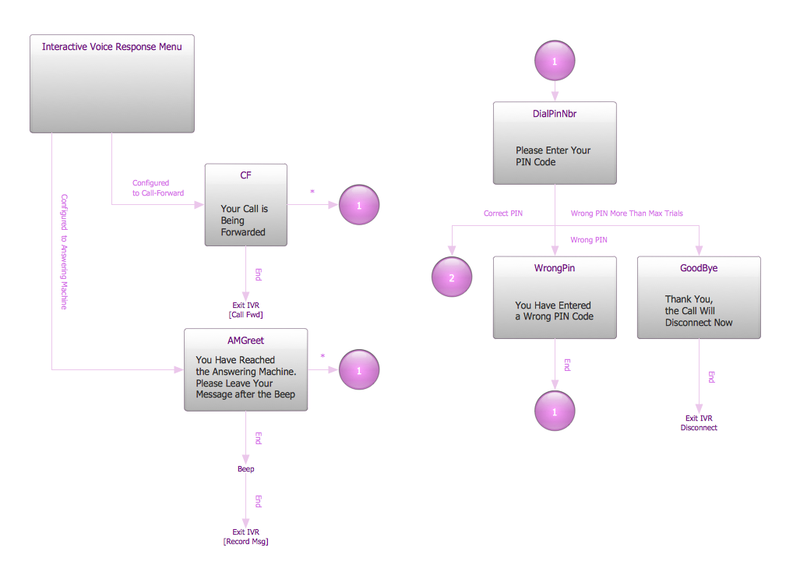 The ability to identify customers allows services to be tailored according to the customer profile. 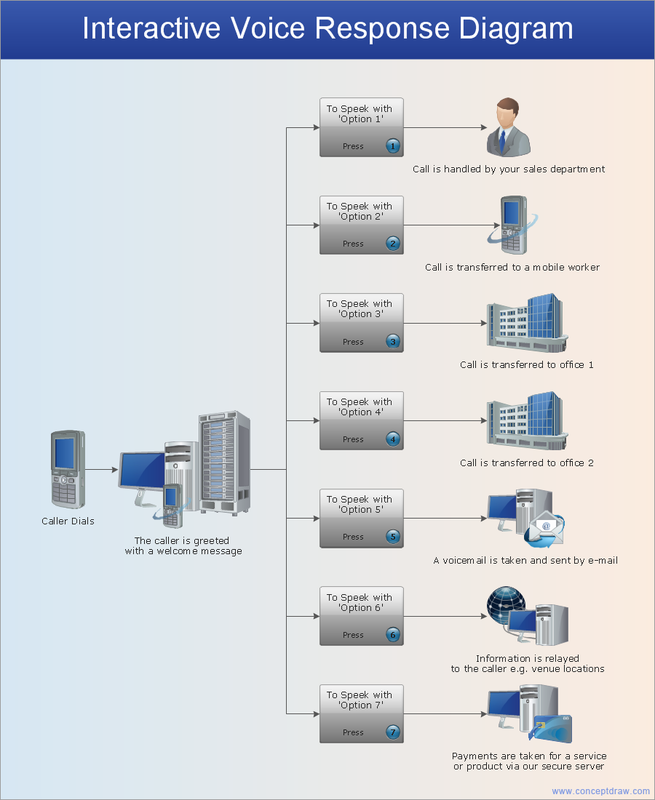 The caller can be given the option to wait in the queue, choose an automated service, or request a callback. 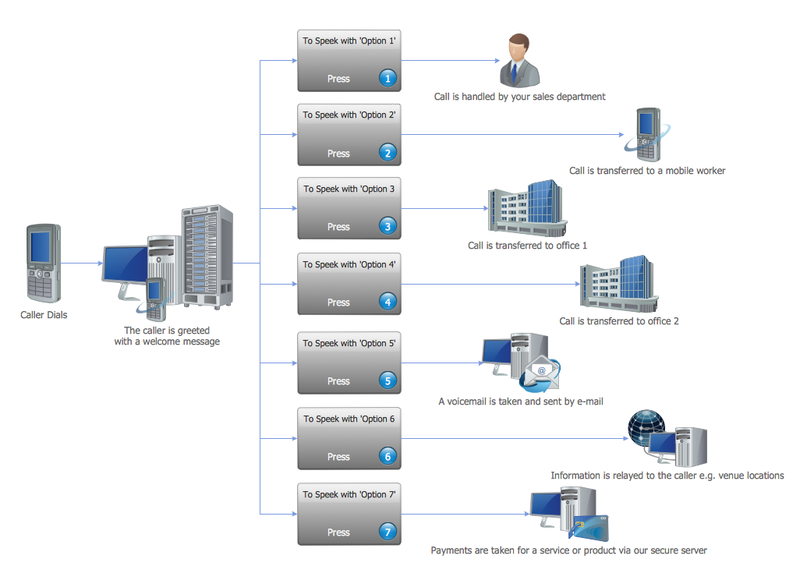 The system may obtain caller line identification (CLI) data from the network to help identify or authenticate the caller. 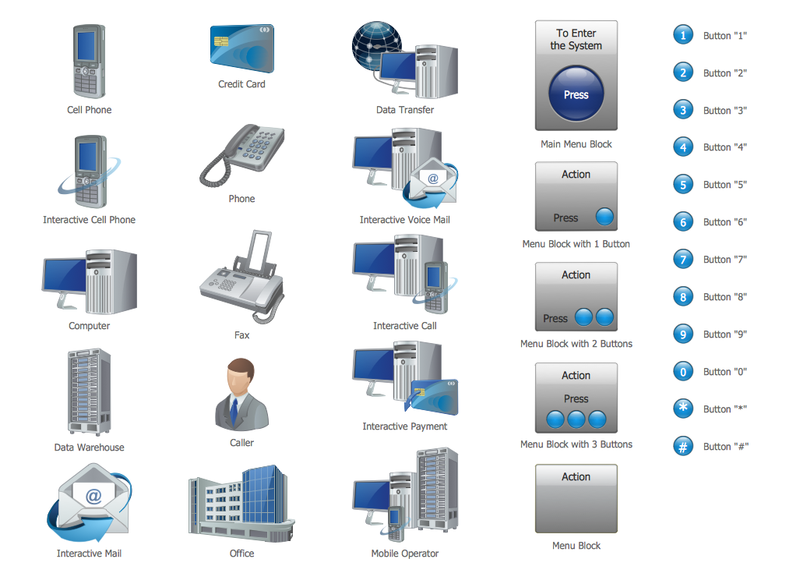 Additional caller authentication data could include account number, personal information, password and biometrics (such as voice print). 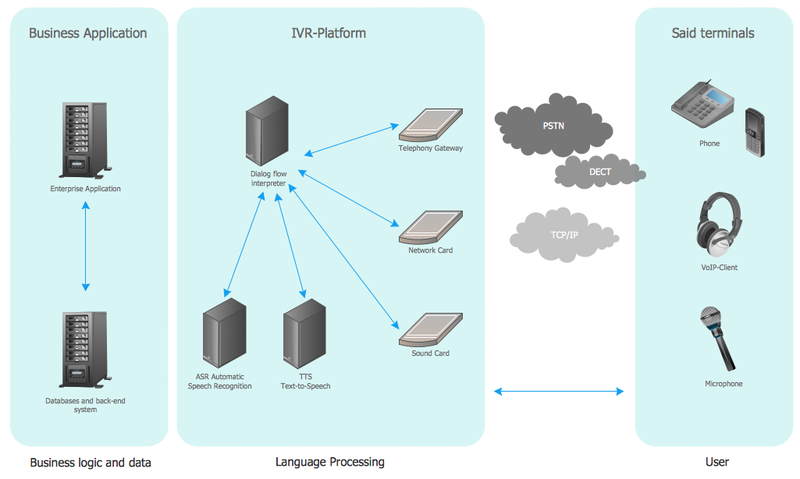 When an IVR system answers multiple phone numbers the use of DNIS ensures that the correct application and language is executed. 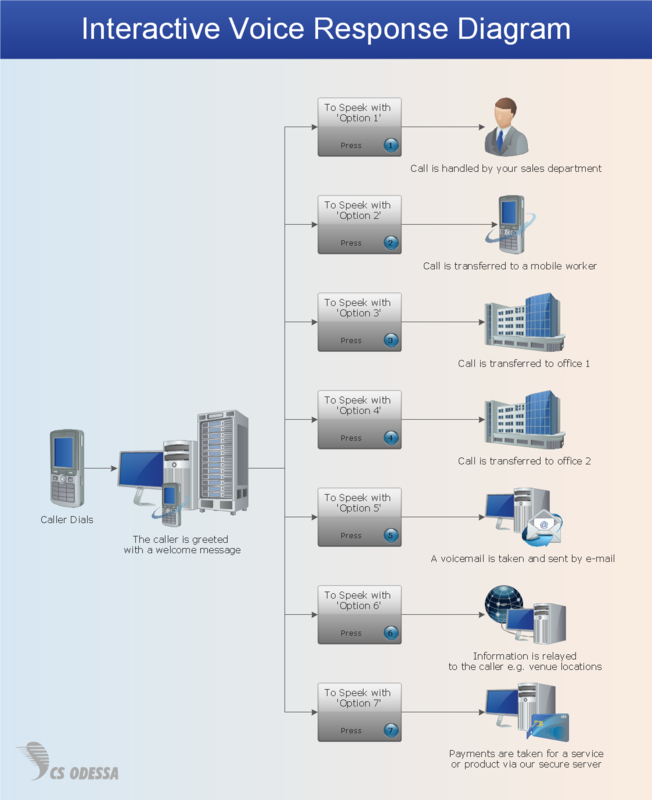 A single large IVR system can handle calls for thousands of applications, each with its own phone numbers and script.